Discount available! Recommend Fishino Piranha to your friends and get your Discount. Fishino Piranha is the second member of 32 bit series of Fishino boards. 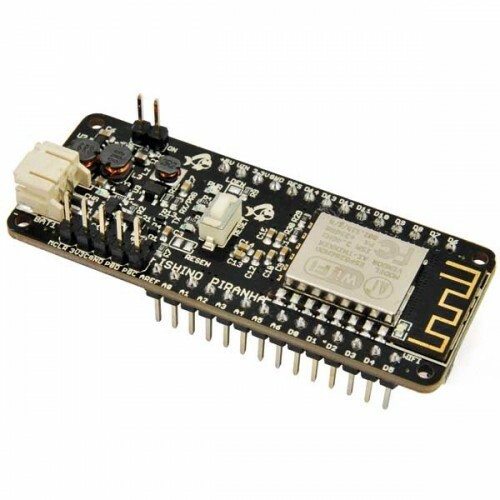 The boards follow the layout of Arduino MKR1000, which makes it compatible with all its available projects, but extending its capabilities thanks to the 32-bit processor, a big memory and the on-board additional components. 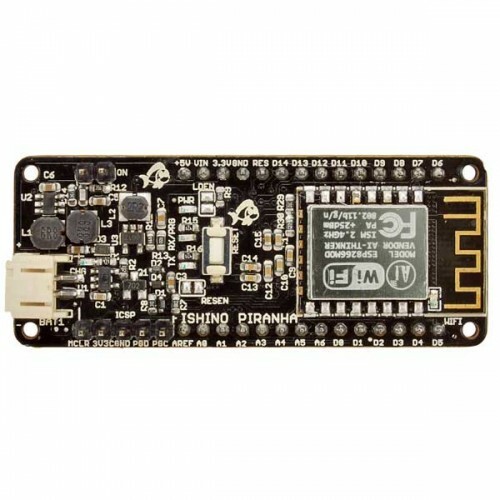 The highlights of Fishino Piranha board are the ability to be powered by a LiPo battery and a flash memory of 512 KBytes which, along with 128 KBytes of RAM, allows development of very complex applications. Having more available pins on the 32-bit controller, we’ve also freed many digital I/Os which were used on Fishino UNO for internal peripherals. The ability to use a readily available microSD card brings Fishino Piranha the ability to work on big data sets, build small web servers and portable data loggers. The 32 bit controller has an embedded RTC (Real Time Clock) module which runs even with the main processor in standby mode; this allows Fishino Piranha to keep the internal time even with no power supply and, if required, to wake it up on external events.